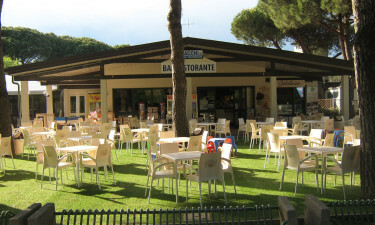 Camping Village Cesenatico is located near the charming town of Cesenatico in Italy. 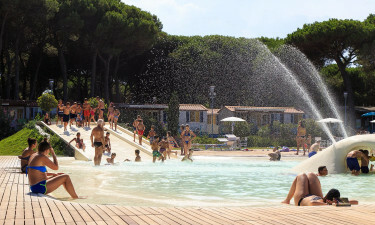 This campsite has many facilities and is the ideal destination for your next summer holidays. Fun guaranteed for the whole family. 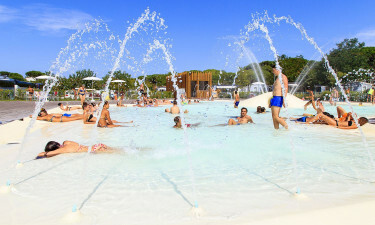 Why choose Camping Village Cesenatico? 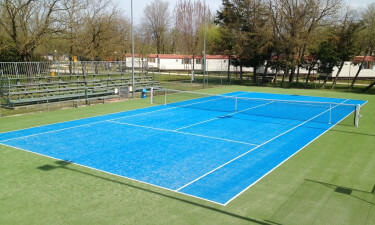 Camping Village Cesenatico has many facilities, including a swimming pool with jacuzzi, and offers a range of sports and games activities. For children of all ages the campsite offers great entertainment. There are activities for all ages, from May to September. In the evening enjoy performances or disco! Especially for the little ones there is an early evening mini disco and fun games. Adults who love all kinds of sports activities and who want to be active in the morning, will find a rich sports and fitness program, with all kind of sports tournaments and every week the wellness walk. If you want to lie in the sun on the beach all day long, you can choose from fresh salads, ice creams or other dishes at one of the beach bars. For sports enthusiasts, there is a wide screen in the bar so that you won't miss any football matches or other sports competitions. From the campsite you have the possibility to book various bus excursions to Florence, Venice, San Marino or the amusement park Mirabilandia. In this region you will find some of the most beautiful Italian art cities, such as Ravenna, capital of mosaics, Faenza, famous for its ceramics and Rimini, with its well-preserved Roman remains. Also visit the oldest republic in the world, San Marino, with narrow streets and imposing fortresses. The entire hinterland is also interesting due to the presence of small forts, castles and ancient villages nestled on the hills.